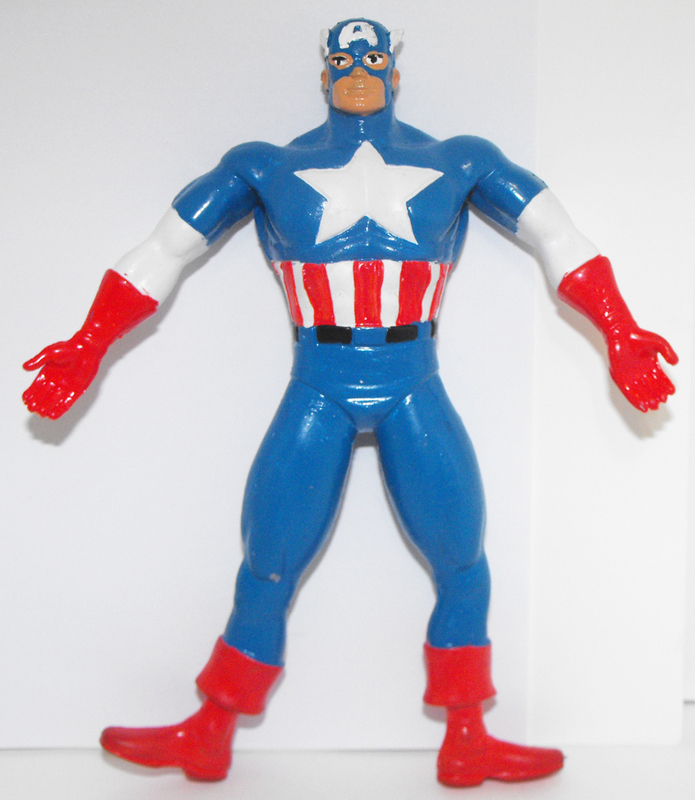 Marvel's Captain America Bendable Plastic Figure. Vintage toy dated 1992 by Comics Spain. You can bend the figure any way you want to. Brand new but loose, comes in a plastic baggy. Bendable figure is about 6 inches tall.